Use dry shampoo on clean hair, too. It’s a foolproof way to create volume and texture--ideal for up-dos or braids. 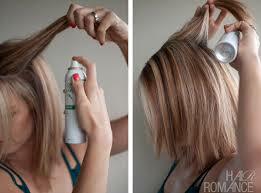 So give dry shampoo a try on your next "I overslept" or hectic morning! Click here to see all your choices in professional dry shampoos!